Tennis anyone? 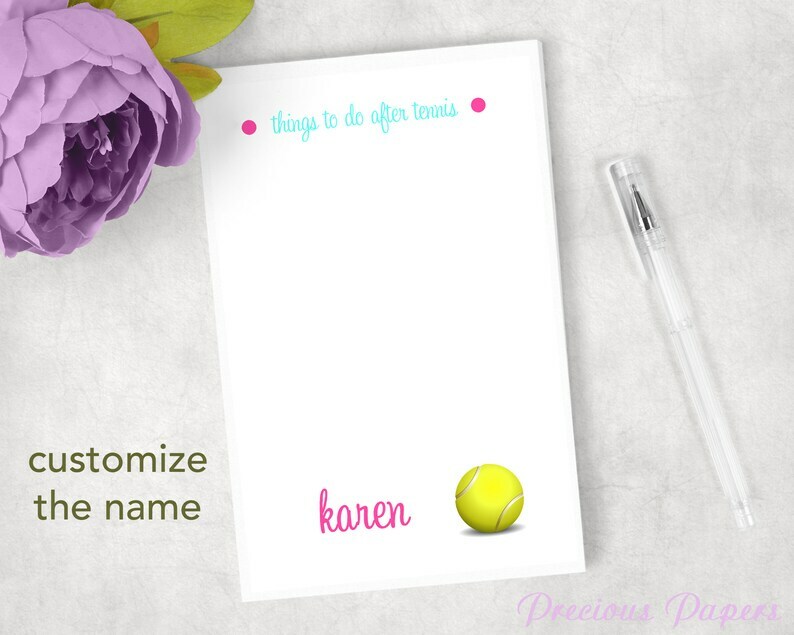 Add a notepad to your collection or give it as a gift. Font color and style can be changed. Each pad comes wrapped in cellophane and tied with a coordinating bow. Perfect for gift giving. Order your note pad today! Pen in photo not included.